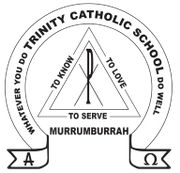 This area of our website is aimed at keeping you, our parents, informed of what is happening at Trinity Catholic School and also to provide you with links to a wide variety of useful information. Parents are the first educators of their children and as such we acknowledge the importance of your role in our students' lives. We welcome and encourage your involvement within our school community. At Trinity Catholic School we encourage parents to assist in each of our classes, as well as the Library and with our Classroom Support Assistants; Mrs Ann Burns and Mrs Joanne Birks. The purpose of the Classroom Support Assistant role is to implement and assist teachers with individualised education plans. For example: listening to children read; helping the students with their Mathematics; assisting with art and craft lessons. We encourage parents with particular talents or interests to assist with their child/ren's education whether it be in the classroom or the sporting field. If you would like to assist in any way please contact one of the teaching staff or the school secretary Mrs Leanne Davis. Funding for all schools in Australian education is currently under review. Several agencies are lobbying the Federal Government seeking equity in funding for Catholic Schools. Please use the following website as a source of factual information about Catholic Schools and current funding levels. It is important that parents of students in Catholic Schools make their voices heard on this very serious issue. Please read the information and keep yourself informed.